There is no longer any sign that this building was home to Full Gospel Assembly. Soon it will be a Sufi school. 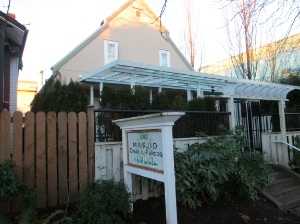 Late last year, Full Gospel Assembly sold its building on Capitol Hill to a Sufi school. 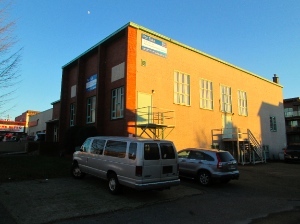 A Salvation Army-owned building on 1st Avenue in East Vancouver is now on the market, very possibly destined for commercial use. Over the Christmas holidays I decided to check out how many church properties have been lost to the Church of Vancouver over the past quarter century. 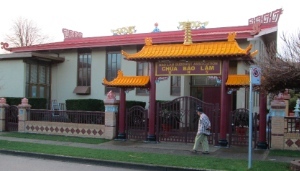 Formerly: Christian Apostolic Church; now: Bao Lam Buddhist Association. 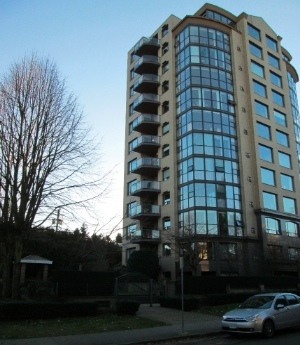 Looking just at the City of Vancouver (not Metro Vancouver) I found that 20 Vancouver church properties listed in the directories have been sold off by a range of denominations. Some of the buildings are intact, now housing mosques, temples, gurdwaras and synagogues. Others are long gone, replaced by houses or apartments. In some cases, the congregation carried on in another location. In others, the group merged with another congregation or disbanded. Some might say the loss of 20 church properties over a quarter of a century isn’t very significant. Three related factors help to put the situation into perspective. First, most church buildings house at least one or two other congregations (often ethnic) along with the owners. These too were displaced when properties were alienated. Second, as far as I know (this is harder to confirm) there have been relatively few new church properties added over the same period of time – maybe half the number that have been lost. 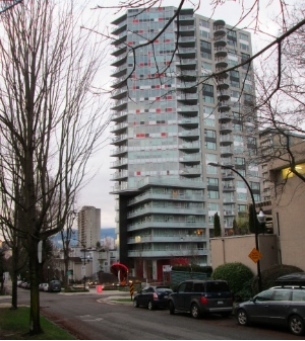 And third, the population of Vancouver grew from 471,644 in 1991 to 603,502 in 2011 (census data from Statistics Canada). Formerly: Evangelistic Tabernacle; now: condo housing. Do we really need all these churches? Does it matter if we lose a few church buildings? That’s a subject for several articles, but the short answer is yes. I believe revival is coming to Vancouver, and we’ll need many more church buildings. Even if that doesn’t happen, Vancouver’s population continues to grow and we have a very active church planting movement in the city. More than a year ago, we published the article Church plants are thriving, especially in the downtown core and a more recent article described how several churches are sharing one building in Strathcona. Formerly Mount Pleasant Baptist Church; now: apartment block. The latter story illustrates new ways of working cooperatively and being creative in common space – but also reminds us how hard it is to come up with suitable church spaces these days. Church planters face many challenges, and in Vancouver finding a place to meet – let alone purchase – is high on the list. Formerly Prince of Peace Lutheran Church; now: P.T.T. Buddhist Society. The issue of how many church buildings we need in Vancouver is a complex one, and this article only sets out to raise the issue. I’m not out to point fingers at the churches or denominations which have sold their buildings. Not only do I not know enough about any individual situation, but I also understand there are many plausible and even compelling reasons for having taken that action. Here are a few of the issues that might play into congregations selling their buildings. Formerly: Chinese United Church; now: apartments. How many times have I heard that over the past few years? And of course it’s true; congregations do not need buildings in order to worship God, disciple followers or serve the community. 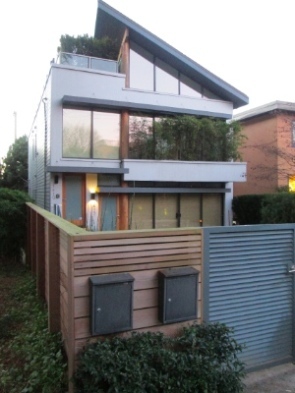 Could their building have been used to benefit their neighbourhood? Maybe; not all are suitable for such use. But there are certain activities that require space and certainty in order to flourish. Formerly: Basel Hakka Lutheran Church; now: housing. Jonathan Bird of City Gate Leadership Forum puts it more strongly: “The surging interest in parish/missional church and in Christian place-making pushes against this presumption that “the church is not a building.” That’s like saying Jesus doesn’t need a physical body to be human. The church is indeed necessarily a building of some kind – all encounter takes place, literally requires it. 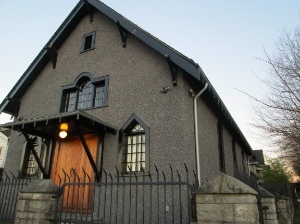 Formerly: Highland Church; now: Or Shalom Temple. 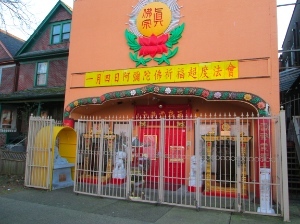 There are a few examples of churches which have created new buildings in Vancouver over the past 25 years: Evangelical Chinese Bible Church and Fraser Lands Church (both down by Marine Drive in the southeast corner), Vancouver Chinese Evangelical Free Church (at Broadway and Rupert) and St. Francis Xavier Chinese Catholic Centre on Great Northern Way come to mind. Others have taken over buildings: Westside Church moved into the Ford Theatre, Coastal Church bought First Church of Christ, Scientist (admittedly, already seen by the city as a church), Breakthrough Church of God, I believe, took over a store on East 41st. However, the process is not an easy one. A quick call to Zoning and Building Inquiries at city hall confirmed that zoning itself is not a major issue – churches are allowed in most areas, except for industrial areas and Southlands. 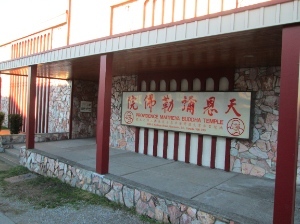 Formerly: Concordia Lutheran Church; now: Providence Maitreya Temple. The real problem comes when a congregation applies for a building permit, which is required even if they simply want to take over a building already in use. They will need an architect, I was told, and the Church Guidelines are “quite stringent.” Any change to those guidelines would have to go through city council. 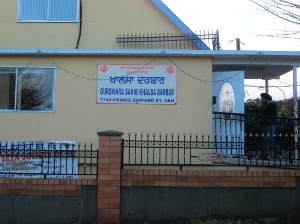 Formerly: St. Luke’s Anglican Church; now Gurdwara Sahib Khalsa Darbar. Followers of other faiths naturally want their own buildings. As I drove around to visit the sites of the lost churches, I was impressed with the way in which the Gurdwara Sahib Khalsa Darbar (formerly St. Luke’s Anglican Church) uses its building. People are coming and going all the time (I’ve passed by there more than once), clearly using the building all week long. 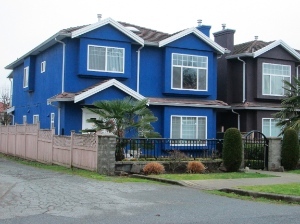 So, although I am suggesting that the Church of Vancouver ought to hold onto its properties, I am not suggesting we ought to ignore the needs of our new neighbours. Formerly: Apostolic Faith Church; now: apartment block. 4. Are churches good for the city? This should be a no-brainer, of course. Most churches do good works, whether with youth clubs, ESL lessons, community meals, counselling services, refugee support, hosting AA groups, etc. But there is much room for improvement. The question, sometimes, is whether the congregation actually cares about the community. Formerly: Church of God of Prophecy; now: housing. I remember, years ago, stopping in on an evangelistic service in East Vancouver. The small church was full, the people well dressed and attentive, and the preacher delivered a solid meat and potatoes gospel message. I hung around for 15 minutes or so after the message, hoping to chat with someone from the church. Not a nibble – though I was clearly the only outsider. That was an extreme example, of course (and the congregation has since disbanded, having sold their building, fortunately to another church). But we all know of churches which have precious little impact on their community. Formerly: St. John’s United Church; now: apartment tower. Civic politicians might want to see proof of church contributions to the city before loosening up their Church Guidelines. Fortunately, there are examples to follow in Canada; groups such as Cardus have led the way in Calgary and elsewhere on such issues. The Salvation Army has this building at 1st and Commercial for sale right now. Many of the 20 churches I have referred to were sold so their denomination could start – or buttress – other ministries. Churches cost a lot of money to keep up. The building on 1st and Commercial seems to fall into that category. 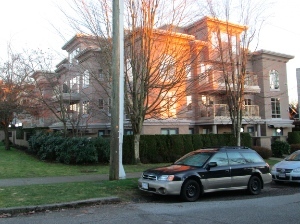 There hasn’t been a Salvation Army congregation there for some time, and their tenant (Vancouver East Vineyard) has been able to find a comfortable new home a little further to the northeast. The building is old and would need significant renovations for serious church use. On the other hand, money from its sale will go to support the development of a new church in Mount Pleasant. 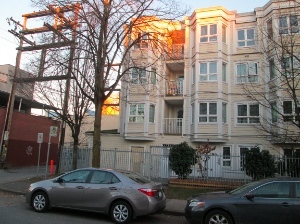 Formerly: Salvation Army: Kitsilano; now: housing. Churches selling their buildings often hope that another church will purchase their building (and as I drove around checking out the 20 ‘lost’ properties, I was heartened to see how many other buildings have been passed on from one congregation to another over the years). But often those church plants or ethnic churches which want to buy the property don’t have enough money, so it goes to other bidders. Those five issues barely scratch the surface when it comes to creating more space for the church in Vancouver. I don’t have any answers for this situation, except to suggest that leaders in the Church of Vancouver meet and pray together about what God wants for the good of the city. Formerly: St. James United Church; now: St. James Community Square. On the one hand, the Church of Vancouver will have to become even more creative than it already has been, with congregations sharing buildings, renting public spaces, denominations re-planting declining churches (as Ed Stetzer urged in recent a CT article), private citizens buying buildings for church use (as in Strathcona), meeting in homes, taking church to the streets . . .
On the other hand, one hopes there will be increased cooperation between churches to shepherd, and increase, the stock of church properties that are already available. How could that happen? Better communication with other churches when selling is being planned, considering reduced rates in certain cases, making representations to city hall about opening up new sacred spaces, ideally in a multifaith coalition . . . 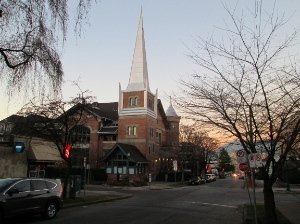 Formerly: Kitsilano United Church; now: apartment block. God does not need church buildings to bring about his purposes (see the inspiring story of Hudson Taylor posted along with this one! ), but it is hard for me to imagine why God would not want the Church of Vancouver to use effectively the tools we have already been given or have the potential to acquire for the good of the kingdom in Vancouver. I would very much welcome any thoughts on any of these issues, particularly from those who know about, or have participated in, creating a new church space over the past 25 years. 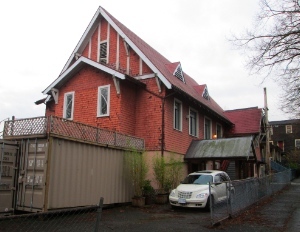 Formerly: Kitsilano Bible Church; now: housing. Formerly: Holy Trinity Anglican Church; now: apartment building. Formerly: Associated Presbyterian Church; now: private home? studio? * formerly: Associated Presbyterian Church; now: private home? studio? Formerly: St. Matthew’s Anglican Church; now: housing. Flyn, a very thoughtful and comprehensive survey. Just looking at the Anglican churches on your list: St Matthew’s – not replaced or relocated; St Luke’s – amalgamated with St Matthias, now at 49th and Tisdall; Holy Trinity – relocated to 12th and Hemlock, in the former Chalmers United Church – which as the title on the building states, was originally a Presbyterian church. Thanks, Flyn. A well-written and insightful look at a very important issue. Churches are people, not buildings, but the God of the Incarnation also loves material space … presence in a community. I pray we will find creative ways to see old buildings be transferred to new Kingdom works which the Spirit is unfolding in our city. Thanks Flyn. Just great to see what has happened to many of our heritage churches. Just picked up a book by Lois Knudson Munhholland called “Pulpits of the Past” outlining hundreds of churches that have closed down in Saskatchewan. 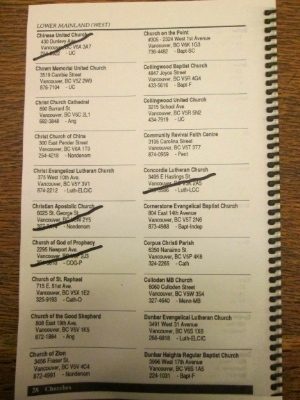 You have given us just a hint of the many churches that have closed in BC. Thank you for your excellent work. Good research Flyn. 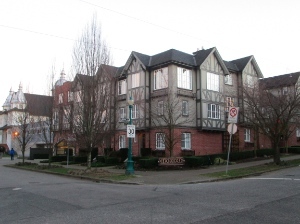 My own denomination, Foursquare, once had 5 church buildings in Vancouver but sold them off and rebuilt in the suburbs as congregations moved out farther. But we took some consolation in our determination to sell only to other christian groups who needed buildings, and at under market prices. Super interesting and comprehensive article, Flyn! A continuation of our Christmas Day conversation :). I see your points more clearly, now that they’re written out (as is usually the case with me!). Very interesting article and sad to see all these historical buildings lost. 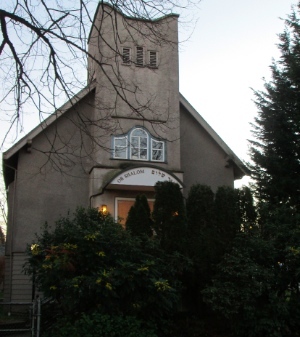 I am currently involved with trying to save the original Douglas Park United Church (1927) It later transferred to the local Baptist congregation in 1939 which stayed until 1952 when it transferred to Rosicrucians. The building was offered for sale last year and unfortunately no faith group came forward so I have contracted to purchase it and restore the original exterior and convert to townhouses. Although it will not be available for community space, the building will be preserved and honored for the community. Unfortunately the local neighbors are not supportive, so any help you may be able to offer would be gladly received! So sad to hear of the loss of so many churches and the history of Vancouver along with it. My Grandmother, Margaret Elizabeth Milne (AKA Merna Maxwell), recently passed away at the age of 103. 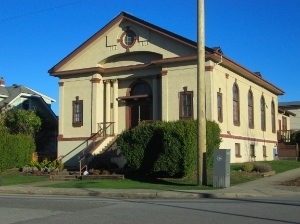 Her father, Andrew McNeilage Milne, in 1907 came from Scotland by boat to Vancouver to be the Organist/Music Director for St. John’s United Church located at 1401 Comox Street. He brought a grand piano with him for the church. He was the Music Director there for 34 years. I have some pictures and stories of that church. It is very disheartening to hear it was demolished and not preserved as a historical landmark. These old churches bear such a rich history of Vancouver – truly sad. It makes my heart ache. I attended the Apostolic Faith Church at Kingsway and Rupert; my Dad helped to build it in 1950. So very sad. “Where there is no vision, the people perish” is often in my mind. I came across your blog post today while searching for something else about churches. Thanks for the write up. BTW, the neon sign “Jesus the Light of the World” is at the Vancouver Museum in their neon sign section. 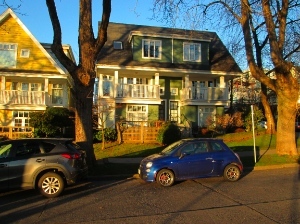 I came across your article, while looking up two churches – nearby my temp accommodation in Richmond and nearby Rupert SkyTrain station. 2. I first came to Vancouver in Jan 1996, to pursue post-grad theological studies. 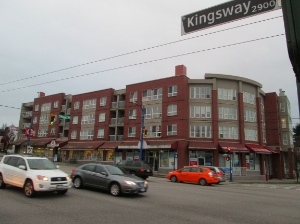 By circumstances, I resided nearby the [Apostolic Faith Church @3014 Kingsway (at Rupert, had a neon cross)] for about a year. It was one of the first Churches/churches I had enriching worship with one of God’s household – Holy Communion and experiential Feet-washing (held once in three months separately from its main Sunday Worship Service). I had sojourned to engage in various kingdom based work. Some years ago, I returned and couldn’t find the church where it stood. Your article shed light on new apartments now occupy that sacred space and clarified its “lost”. 3. Basel Hakka Lutheran Church @823 Jackson Street (on Prior Street, east end of Georgia Viaduct); I was a guest speaker, a “discerning” instance to engage in prospective shepherding capacity. Then, it was already a struggling church. 4. 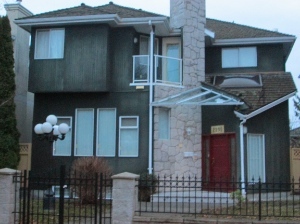 I didn’t have direct experience with St. Luke’s Anglican Church @7749 Prince Edward Street (east of Fraser at 61st) location. 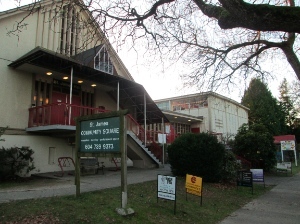 However, I soon learned the congregation amalgamated with St Matthias Anglican Church (on West 49, Cambie vicinity), an aging congregation. The new “church” was St Matthias and St Luke Church (on West 49) was where I fulfilled my ministry internship (practicum). By now, the amalgamated congregations were scattered, parishioners aligned with ANiC grieved their departure and many aged senior parishioners demised. The fact apartments, buildings or other faith groups ‘displaced’ churches meant ‘the once bright light’ in those areas departed and ‘darkness’ strongholds prevailing. May our individual ‘light’ not be snuffed out, but keep aflame in continuing pure and holy walk with God who is holy and who alone keeps His households pure and holy!